The Youth Advisory Board is made up of youth aged 18-32 years who seek to increase youth involvement in UN-Habitat initiatives. The board comprises 12 advisors, two per UN-Habitat region as well as one youth observer representing young people with disabilities. It also comprises two observer members, one youth representative from informal settlements and one external advisor appointed by UN-Habitat. The Board advises UN-HABITAT on strategies to engage young people in sustainable urbanisation and urban development, and strengthen youth participation in the work of UN-Habitat. In 2015,16 young people were elected (with 93,000 young people taking part in the online election) to serve for a period of two years. In addition to the 12 regional representatives, also chosen were 4 special advisors selected for housing, post-conflict, Future Saudi Cities programme and youth with disabilities. 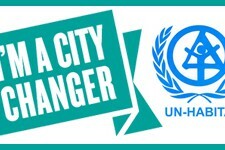 Members of the Youth Advisory Board can be seen here: http://unhabitat.org/young-people-of-the-world-elect-a-new-un-habitat-youth-advisory-board/. Young people aged 18-32 eligible to apply, and for more information on the role and responsibilities of the YAB, please see their ToR here: http://unhabitat.org/wp-content/uploads/2014/07/7361_26701_YouthAdvisoryBoard-TOR.pdf.